Taking care of your teeth is important. Proper maintenance helps prevent gingivitis, plaque buildup, and more. Choosing the right product can be a bit overwhelming. The toothpaste market is extremely crowded. At any drugstore or grocery store, you’ll find a wide selection of toothpastes with claims from whitening and cavity prevention to all-natural and organic. So how do you know which one is right for you? In truth, it depends on your needs. You’ll need a whitening toothpaste if you have yellow teeth. Smoking and coffee, for instance, can stain your smile. The most effective whitening versions will include modified silicone abrasives, a feature of Rembrandt Deeply White for example. These small particles work to polish the surface of your teeth and remove discoloration. Silicone is gentle and nontoxic also, so you don’t have to worry about ingesting something harmful through regular brushing. Cavities are painful and inconvenient, to say the least. If you’ve had them in the past, you know how terrible they can be. You see, every hour of the day bacteria are trying to adhere to your teeth in the form of plaque. 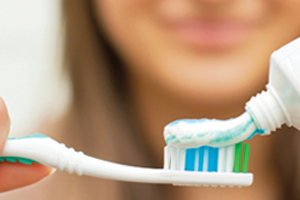 Cavity-protection toothpastes include the mineral fluoride. This compound coats your teeth and guards them against bacteria. For extra-strength protection, there are prescription options such as Colgate PreviDent 5000. There’s nothing worse than having a sharp, stabbing pain when drinking or eating hot and cold items. In some cases, this is caused by cavities and root infections, but many people simply have sensitive mouths. Desensitizing toothpastes like Sensodyne include strontium chloride or potassium nitrate. These agents desensitize to help lessen the pain. Tartar, or calculus, is a form of plaque. It is a hardened version that sticks to the surface of your teeth. Once it builds up, no amount of brushing can remove it, and it can only be taken care of by a dental professional. If you struggle with plague, tartar-prevention toothpastes keep the tartar from hardening into plaque. A popular and ADA-approved example is Crest Tartar Protection. If you’re looking for something without chemicals, dyes, and so forth, it can be hard to find a widely available effective product. Tom’s of Maine produces all-natural whitening and cavity-protection toothpastes that are approved by the American Dental Association. Remember, you can always talk to the professionals at Cobblestone Park Family Dental about choosing the right toothpaste if you’re struggling to decide. We can provide recommendations based on your individual concerns for maximum effectiveness.